I got this Notably Ornate stamp set for awhile and finally ink it up. 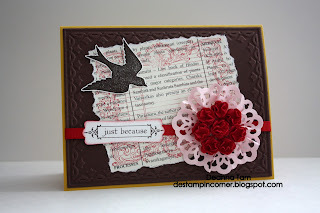 I have been busy cleaning up my stamping stuff ready to sell. I'm finally going to sell my old and retired stamp sets. I can't bear to let them go but I've got to make room for new ones. I'll be listing the stamps sets and supplies for sale soon. 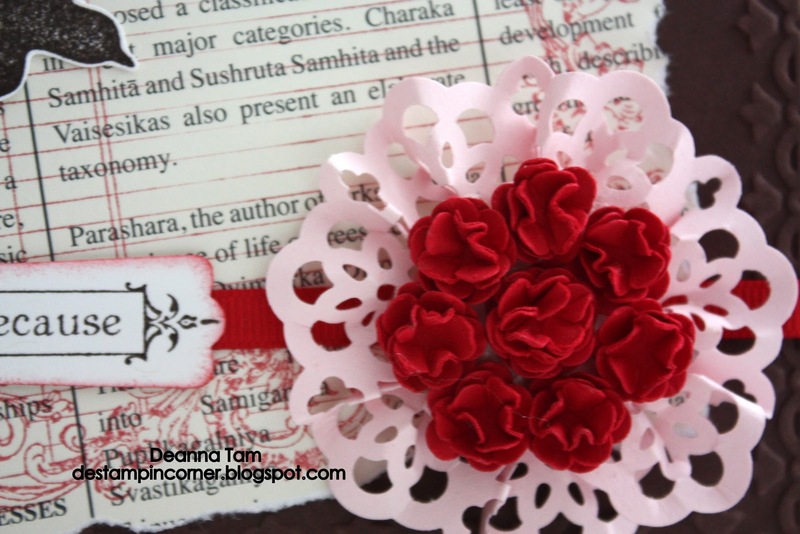 I made the little flowers with the Trio Flower punch. Bunch them all together to make a bigger flower. 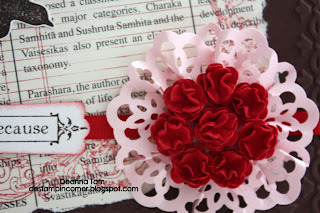 I used the Lace Ribbon Border punch to make the pink ruffle around the red flowers. Very pretty! 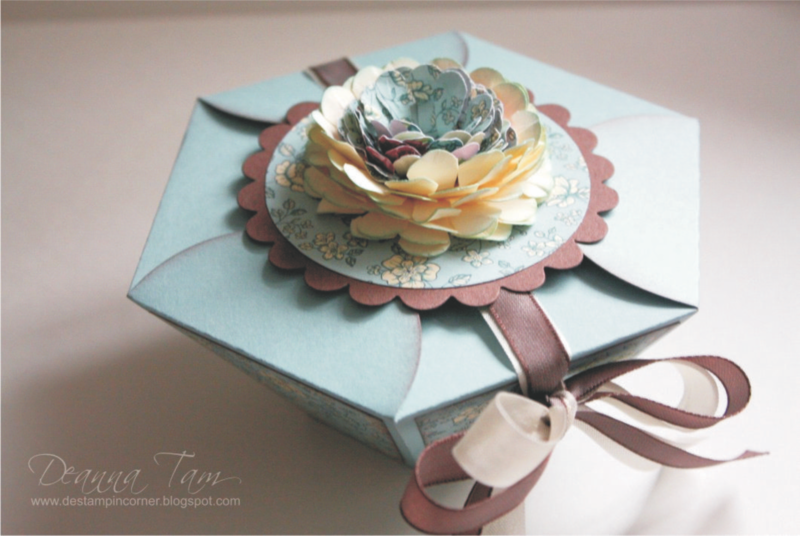 It kind of look like a flower bouquet on a card. My daughter love those little flowers. She ask me make her a whole bunch out of different colours. She had put them on birthday presents and even for boy presents also. She is so silly but love to craft with me. She is always around when I do my stamping. Such a little helper. I hate the thought of getting rid of old stamps but like you I'm going to have to do that someday, but still can't bring myself to do it yet. 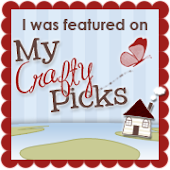 I cased 1 of your cards & put a link to your blog on my post today.